We have been a leading U.S. sign company for over 50 years, providing our customers with signs to fit every location and need. From small businesses and community organizations to large national and regional accounts, we are dedicated to delivering the perfect sign for any application. We take pride in each of our sign projects and would like to share our successes with you through our gallery. 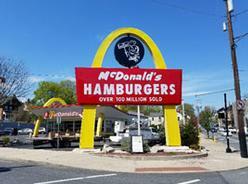 Sign Crafters relationship with McDonald’s began in the 1950’s and we are very proud of our continued relationship over the years. 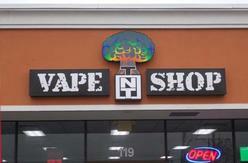 From the inside to the outside we provided the perfect sign solutions for TNT Vape Shop.